When they established the Braniff Graduate School of Liberal Arts in 1966, Louise Cowan and Willmoore Kendall sought to revive liberal education with a doctoral program based on the wisdom of the Western tradition. In Kendall’s words, they designed a single degree in Politics and Literature “to cover the Great Tradition in Political Philosophy and the Great Tradition in Literature,” with an emphasis on the premodern roots of Western learning that were increasingly misunderstood or neglected by the midcentury American university. As Cowan would later argue, a classical education beginning with the poets of ancient Greece and the prophets of Hebrew scripture is absolutely necessary “to preserve the full range of human sensibility” in the contemporary world. In founding Braniff, Kendall and Cowan knew that the Western tradition had served to “reanimate” those peoples and cultures who returned to it in earlier eras, and they discerned that another return, another reanimation, was in order. Fifty years later, the students and faculty of the Braniff School and its Institute of Philosophic Studies remain grateful for the dedication, ingenuity, and enterprise of our founders, and grateful to all those who, in the intervening decades, have worked in common at the University of Dallas to recover, retain, and revive the Western and Christian traditions of education. We at Ramify, the journal of the Braniff Graduate School, strive to support and supplement this communal enterprise by publishing excellent scholarly and creative works in the liberal disciplines we practice, works that represent the intellectual community we have inherited and entered. In the winter of 2015, the Braniff Graduate Student Association sought to continue the legacy of the School’s founders by hosting the inaugural Braniff Conference in the Liberal Arts. The conference took as its theme Reason and Revelation—a theme near to the heart of education at the University of Dallas. Happily, the conference attracted scholars of the liberal arts from across the continent, fostering an extended, stimulating, and multidisciplinary conversation. In this issue, Ramify is proud to present seven papers from that conference. 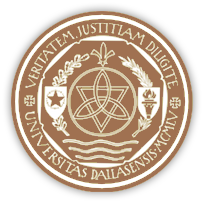 These papers arise from several of the liberal disciplines still practiced in our colleges and universities: politics, philosophy, classics, theology, and literature, disciplines distinct in their foci and methods but united in their pursuit of the vital truths available to us free and rational beings. Khalil Habib’s essay, an exemplary exercise in the discipline of political philosophy, advances the Braniff founders’ concern for the narrowing of thought typical of modern educational institutions. Habib argues that some blame for this narrowing should be laid at the feet of the great modern political philosopher Montesquieu, whose discourse on education, nominally concerned with the relation between science and the progress of civilization, is revealed as a battle between faith and reason. The result is not only an Enlightenment political theory but also that subordination of the humanities to the natural sciences characteristic of the contemporary university. Habib concludes that philosophy, theology, and literature are not mere handmaids to the unquestionable progress of scientific enlightenment; rather, they are indispensable for judging the progress of science and the character of our society. Daniel Valls Rodriguez begins by raising the question of the right way of life for an individual, but shows that this personal question is intimately connected with political and theological questions of the greatest import. Valls Rodriguez investigates two heroic figures from the wellsprings of the Western tradition—the Biblical Jacob and the Homeric Diomedes, “the men who fought with gods and survived”—who, like parallel lines arriving at separate points, arrive at different virtues through their encounters with the divine. Yet Valls Rodriguez suggests it is another hero of the Western tradition, Plato’s Socrates, who exemplifies the proper relation between human reason and divine wisdom. Rebekah Spearman turns to a consummately political play by the earliest author to portray Socrates, albeit in a less than heroic light. But in the Frogs, Aristophanes is concerned not with the way of life of his most inquisitive fellow‑citizen, but with the foreign policy of Athens herself. In an interpretation that is sensitive to the subtleties of Aristophanes’s (often ribald) Greek, Spearman argues that Aristophanes gave his fellow citizens a portrait of their own disastrous decisions in the late stages of the Peloponnesian War. Spearman shows us that the Frogs’ comic spectacle of gods and poets rivals Thucydides’s History in portraying the degeneration of a great polis into a desperate and decadent empire. It was during the decline of another empire that the West received one of its greatest theologians. Arguing that to read Augustine rightly is to enter into the act of confessio with him, Enrique Pallares reminds us that works such as the Confessions are essential to the Western tradition of liberal education precisely because they address the universally human condition of living in a metaxy, or in‑between state. In clarifying the connection between the practice of confessio and the essentially zetetic character of reason, Pallares criticizes the modern notions of both reason and faith. What is at stake for the reader of the Confessions is not a detached attempt at accurate interpretation, but an ethical-­ontological alternative: either responding to Being and thereby retaining the logos that is our special lot, or refusing to engage it and thereby shutting off the possibility of authentic and rational human existence. Craig Vander Hart examines two authors from the history of political philosophy, Plato and Spinoza, whose works addressed the tension between faith and reason, or rather, the tension between the political and creedal requirements of divine law and the potentially disruptive inquiries of philosophy. Vander Hart poses the same question to his ancient and modern sources: “What is the role of the philosopher in any society guided by divine law?” Plato suggests that philosophers should “guide” and interpret divine law for the good of individuals and political order while moderating their public criticisms of its deficiencies, a solution to the “problem of Socrates.” Spinoza, by contrast, argues for universal freedom of speech, which leads him to dissolve the conflict between reason and revelation by denying the cognitive content of revelation beyond what agrees with his philosophic ethics and by reducing religion to works alone. Although Spinoza is the preeminent philosopher of liberal democracy, Vander Hart encourages us to look at both the moderns and the ancients to deepen our understanding of divine revelation, human politics, and their relation to one another. Unlike Spinoza, Kierkegaard does not seek to dissolve the conflict between reason and revelation: as Aaron Matthew Schubert shows, Kierkegaard understood that the revelation of Christ as the God‑man is and always will be “offensive” to reason—and that faith becomes possible only with the rational apprehension of this offense. Although Kierkegaard is sometimes described as dismissing or radically deemphasizing the importance of human reason, Schubert argues that reason is essential to Kierkegaard’s theology: “reason and the offense of revelation must coexist for faith to occur.” Faith presupposes reason, “so that one can acknowledge the supra-­rational nature of the revelation that is the God‑man.” The choice of faith requires accepting revelation’s offense to reason—“faith can only occur in the midst of…offense”—and while this choice manifestly goes beyond reason, it is also itself reasonable insofar as it is a recognition of the limits of reason. Reason, then, is necessary but not sufficient for faith. This volume closes with a return to the medieval poet who stands at the center of the Western tradition and at the center of liberal education at the University of Dallas. Our own Bainard Cowan serves as our guide from Hell through Purgatory to Paradise, helping us see that Dante stands where he does because of both his divine poetics and (perhaps not unrelated) his unsurpassed presentation of the doctrine of the relation between reason and revelation. The Commedia teaches us that a properly developed reason is sufficient to keep us from Hell, but reason alone is not sufficient to enter Paradise—salvation requires a call to our individuality, a personal call that can come only from revelation, and can be heeded only by the movement of the person’s soul in all its particularity. Reason and revelation, though distinct, are both “indispensable in the project of making human life.” It should come as no surprise, then, that attention to their relation is indispensable to the project of a humane education.